I've been trying real hard to learn how to blog lately. I googled "How to write a blog" and everything, but none of that seems to be taking. The first lesson I read was aptly titled, "Think of a title," but thinking isn't something that comes easy to me, so instead of that I grabbed a record album from my stack and the first one that ended up in my hands was a song compiation from a Duluth (MN) radio station that was released in the 80's. I bought this album because it contained a rare track by The Replacements, and I paid way too much for it of course, but how can you put a value on an obsession with 80's punk? OK, maybe the Mats weren't really punk, but they did make probably the best punk rock video of all time, which pretty much sums up my life in the eighties. Trackin' Up The North might sum up how normal people feel when they come here during the winter months. Honestly, I can't understand what brings them back for more. 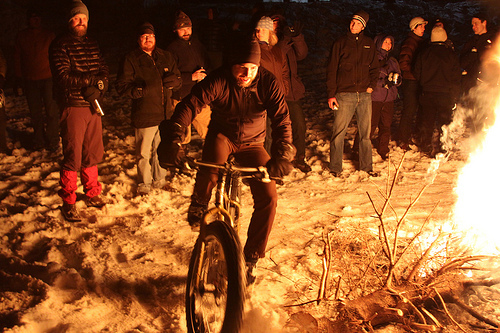 For the past several years Surly has hosted a Pugsley Race at QBP's industry-only Frostbike event, which took place last weekend. 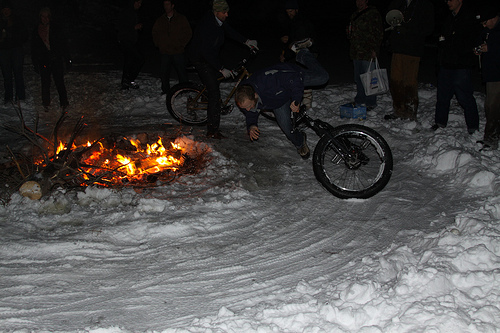 Due to the depth of the snow this year, what started as a "race" turned into a derby circle around a bonfire. 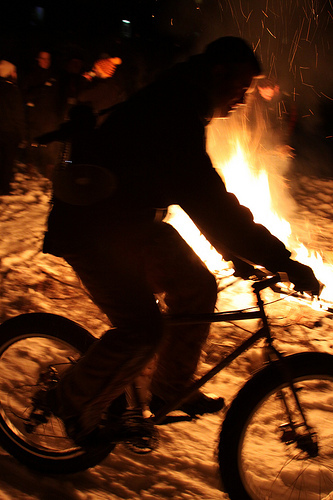 No one complained about drinking luke warm Hamm's while attempting to knock their commrades of their bike and into the fire or onto the ice. Go figure. Rather than me blathering on about it why don't you look at some pictures? 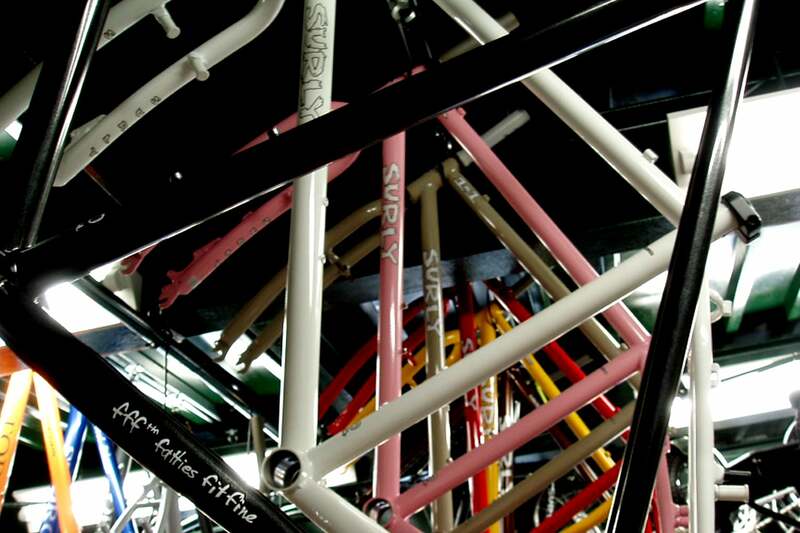 And if you'd like to see more you'll need to go here. Meanwhile, I'll be sharpening up my blog skills and finishing up the Hamm's and stale pretzels.